A new-age lighting system that lets you create the perfect ambience to suit your mood and also conserves energy in a smart and innovative way! 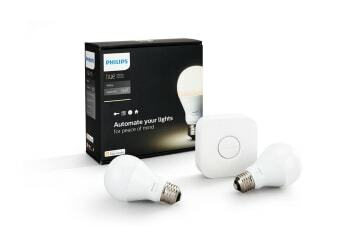 The Philips Hue White A19 Starter Kit introduces you to an innovative way of lighting up your home. It lets you automate your lights and gives you the power to control all your lights from anywhere through your smartphone. With geofencing technology at work, you can set up your lights to turn on automatically when you reach home. And when you’re away, Phillips Hue gives you the option of remotely turning on your lights to make it seem like you’re at home! 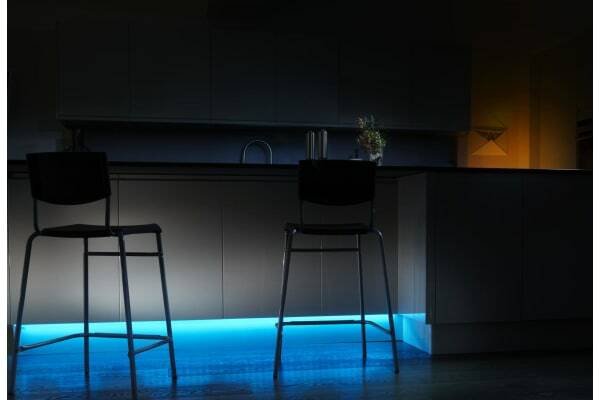 Customise your lighting to suit your daily routine. Dim the lights to create a romantic ambience, or turn them to full brightness when you’re searching for something! Use the app to select from a whole range of beautiful, natural white light. 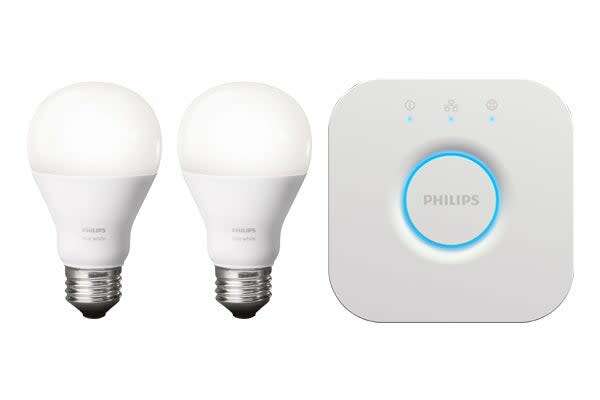 Phillips Hue gives you smart lighting solutions that make your life simpler and happier!